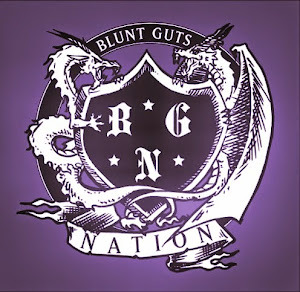 Blunt Guts Nation: R.I.P. RAMMELLZEE!!!!! He has stated that his name is derived from RAM plus M for Magnitude, Sigma (Σ) the first summation operator, first L - longitude, second L - latitude, Z - z-bar, Σ, Σ - summation. A friend of Jean-Michele Basquiat, Rammellzee made his most memorable (ten minute) 1983 song titled, "Beat Bop", which is stated to be hip hop's first experimental rap record (Basquiat was on the beat by the way). 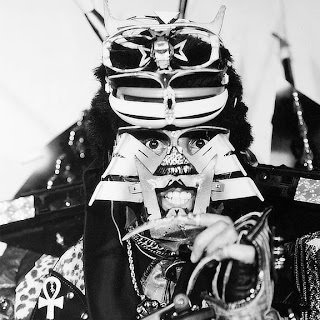 Rammellzee performed in self-designed masks and costumes of different characters which represented the "mathematical equation" that is Rammellzee. On the basis of his Gothic Futurism approach, he described his artistic work as the logical extension into a new phase which he calls Ikonoklast Panzerism. Go to his website Gothic Futurism and look at some of his formulas. It's indecipherable to everyone but himself. He created a style and sub-genre that paved the way for artists such as Kool Keith, MF Doom, the Def Jux label, etc. So pour some out and light one up for one of the founding fathers and pioneers. How Rammellzee described his live performances - "You hit the bank, you rob the money, and you leave. No encores." Sound familiar?